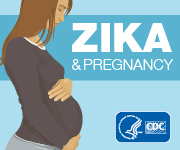 Presenters reviewed with participants the epidemiology and clinical manifestation of Zika virus disease and how early recognition and reporting of suspected cases can mitigate the risk of local transmission. CDC in partnership with other U.S. government agencies, public health stakeholders, and global partners joined the White House today to help launch the “National Action Plan for Combating Multidrug Resistant TB (MDR TB)” in Washington, DC. CDC is a Key Architect and Implementer of the National Action Plan. Zika outbreaks have been identified recently in several countries in Central and South America. The outbreak began in Brazil in May. CDC recommends that travelers to affected areas in South America, Central America, the Caribbean, or Mexico protect themselves from mosquito bites. CDC has also provided recommendations for health care providers and public health practitioners. Zika virus is spread to people through mosquito bites. The most common symptoms of Zika virus disease are fever, rash, joint pain, and conjunctivitis. Zika virus disease can often be diagnosed by performing reverse transcriptase-polymerase chain reaction (RT-PCR) on serum. Testing is performed at the CDC Arbovirus Diagnostic Laboratory. Contact your state health department to facilitate testing. CDC researchers found that over 18 years, the prevalence of gastroschisis, more than doubled in the United States. CDC is working to address birth defects, including gastroschisis, by tracking birth defects through several state tracking systems and regional programs, collaborating with the National Birth Defects Prevention Network (NBDPN), and funding research in Centers for Birth Defects Research and Prevention, which collaborate on large studies. These studies work to identify factors that increase the risk for birth defects. American Diabetes Association, American Medical Association, Centers for Disease Control and Prevention and the Ad Council join forces to reduce the incidence of Type 2 Diabetes, one of the nation’s biggest public health crises today. Between 2014 and 2015, CDC has been contacted about 36 cases of acute HCV infection in 19 different hemodialysis clinics in eight states. HCV transmission can be prevented when proper infection prevention and environmental disinfection practices are consistently followed. In response to the increased identification of HCV transmission in dialysis clinics, CDC recommends following certain actions to improve infection control practices. Fifteen people infected with the outbreak strain of Listeria have been reported from eight states since July 5, 2015. Epidemiologic and laboratory evidence indicate that packaged salads produced at the Dole processing facility in Springfield, Ohio and sold under various brand names are the likely source of this outbreak. The issue may prevent the ventilator from providing patient breathing support and could cause patient injury or death.